What is most frightening about the Facebook post duplicated below is that people share it without question or thinking about what it says. 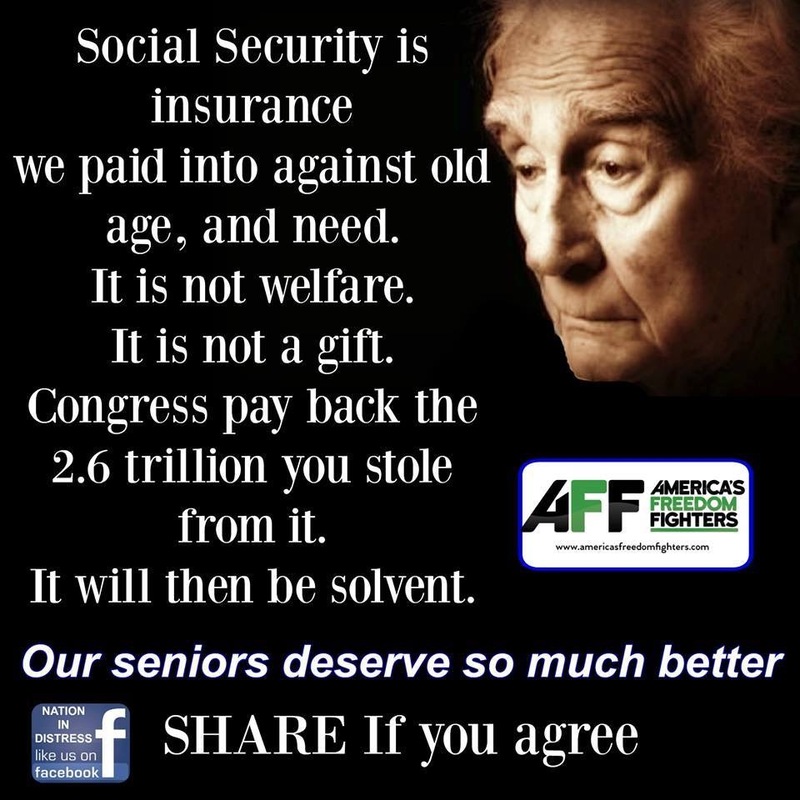 The fact is nobody stole anything from Social Security and over the next eighteen years all the taxes (plus interest) collected will be paid back as benefits … and then if no changes are made before then it will all be gone. But wait‼️ That process no longer works because incoming taxes are insufficient. So today this happens. But wait, Congress has 18 years to fix it and it is a great voting tool for the corrupt politicians. And they will use it every election cycle. Also, organizations like AFF, AARP, DNC and others can get money from the sheeple, lying to them and laughing all the way to the bank. How come we almost never see any of these concerns about SS in none election years? You have a point. Every year the Trustees raise the concerns, urge congress to act and make suggestions and each year they are ignored. •	Social Security is means tested and becomes just another welfare program.